Members of the House of Representatives had 1,000 minutes—overnight—to read a 2,232-page bill that spends $1.3 trillion. At the bottom of the press release, the committee included a link to the House documents page where “the text of the legislation” was available. 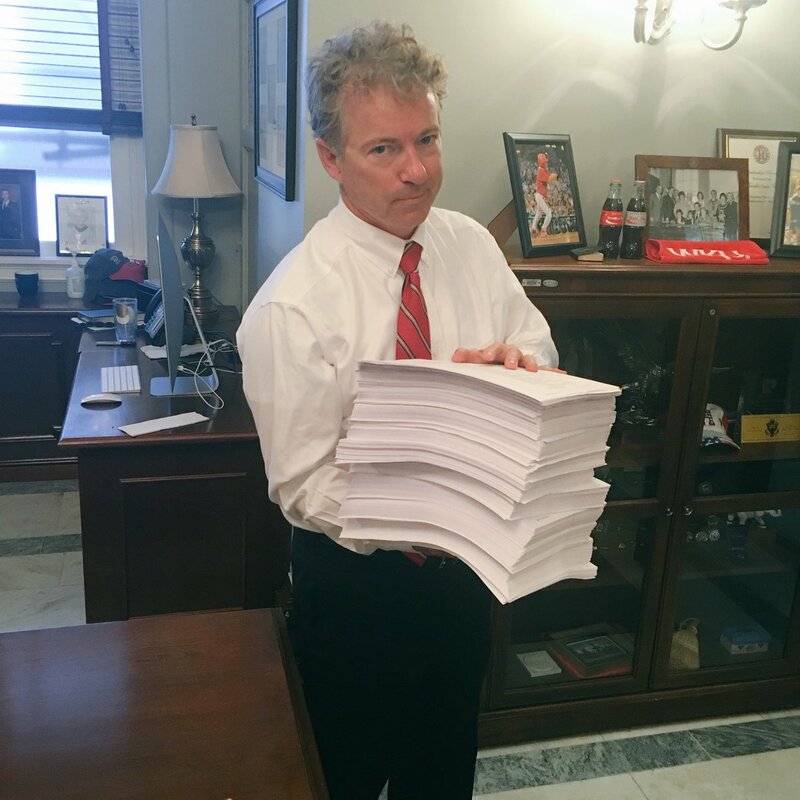 The PDF of the full text of the bill that is posted there is 2,232 pages long. The final roll-call vote on H.R. 1625–as memorialized on C-SPAN–began at 12:37 pm and ended at about 12:59 pm on Thursday, March 22. The bill passed 256 to 167—with 90 Republicans voting against it and 111 Democrats voting for it. The 12:37 p.m. vote in the House started 16 hours and 40 minutes–or 1,000 minutes–after the bill was posted online. Had a member downloaded the PDF of the bill the moment it was “added” to the House document webpage on Wednesday night and started reading it immediately, and then had the member kept reading it without a break until the moment the vote started at 12:37 pm on Thursday afternoon, the member would have needed to read about 2.32 pages per minute to get it completed. An American citizen, of course, would also have needed to download the bill the moment it was released to have taken advantage of the full 1,000 minutes that passed before the House Republican leadership brought it up for a vote.